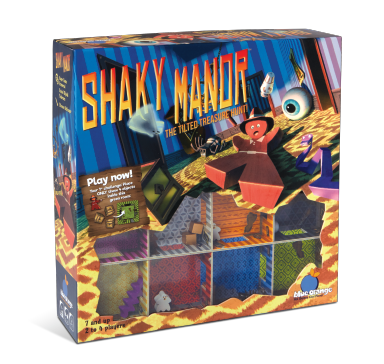 Local legend says the house on the corner contains hidden treasures… you find yourself taking a chance and entering to strike it rich, but it isn’t that easy to keep the treasures safe from the creatures that haunt the dusty rooms! 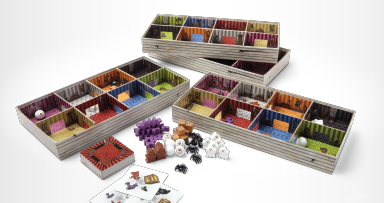 In this game, race to position your Meeple Player and 2 Treasure Chests into the room indicated on the Challenge Card by shaking and tilting your box. 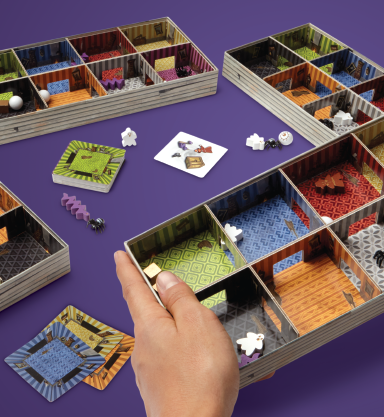 Each time you succeed in keeping the treasure safe, you win the card as a point and the player to your right adds a new spooky creature into your box to make the next round harder!